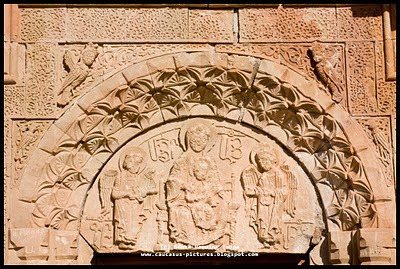 Noravank (Նորավանք, meaning new monastery) is a 13th century monastery, located 122 km from Yerevan in a narrow gorge made by the Darichay river, nearby the city of Yeghegnadzor, Armenia. 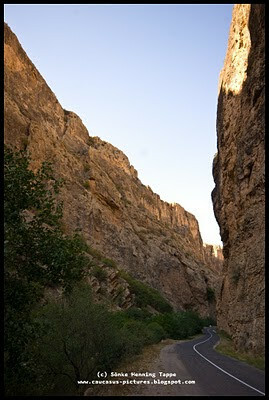 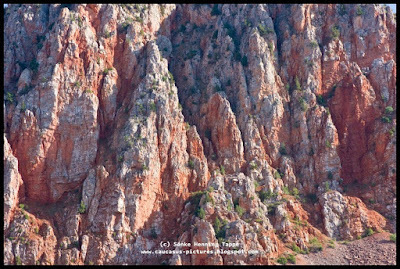 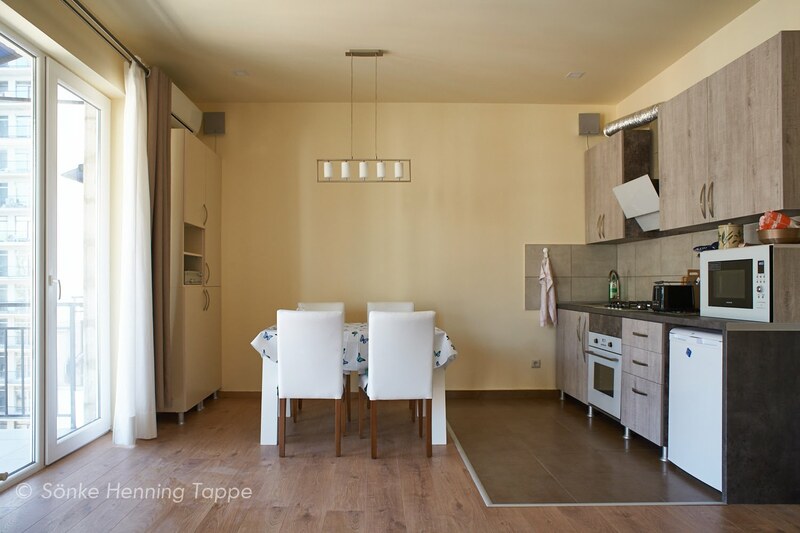 The gorge is known for its tall, sheer, brick-red cliffs, directly across from the monastery. 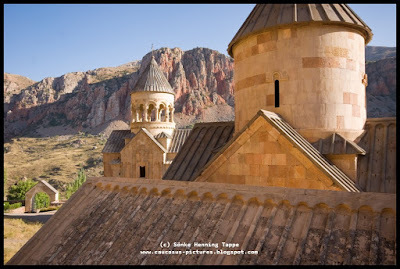 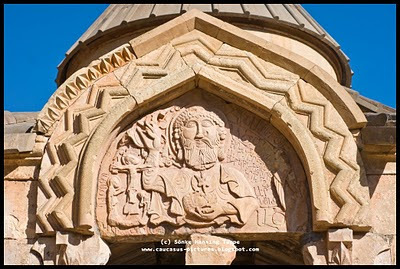 The monastery is best known for its two-storey S. Astvatsatsin church, which grants access to the second floor by way of narrow stones jutting out from the face of building. 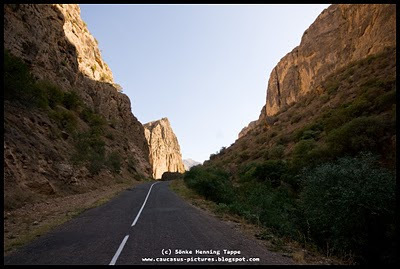 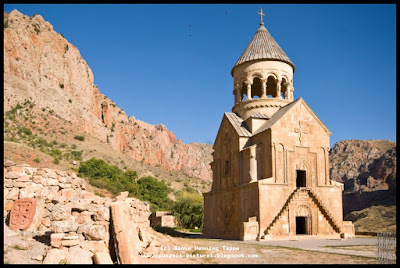 The monastery is sometimes called Amaghu-Noravank, Amaghu being the name of a small recently destroyed village above the canyon, in order to distinguish it from Bgheno-Noravank Monastery, near Goris. 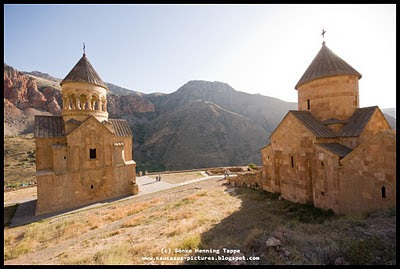 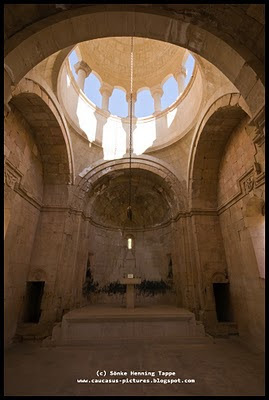 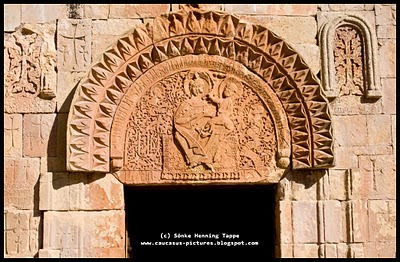 In the 13th–14th centuries the monastery became a residence of Syunik's bishops and, consequently. 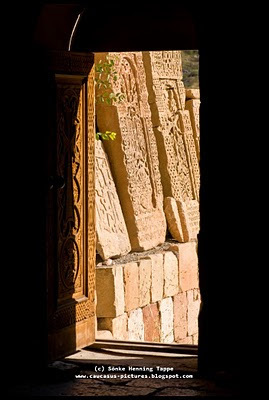 a major religious and, later, cultural center of Armenia closely connected with many of the local seats of learning, especially with Gladzor's famed university and library.